I am sure there are plenty of other points to add to the table, but these are the factors I find important for my decision to go with an LCD display. The main one being that LCD panels were orignally created for PCs so the technology is then easily adopted to HTPC use, since its basically a big monitor with a tuner inside it. Except that this isnt completely true at the point of writing this article. There are still issues related to the lack of a DVI port on these LCD televisions, but fortunately they have a VGA port that usually does the trick when connecting it to a PC. Just a shame that you have the extra analog conversion inbetween that really isnt necessary. A major point of going with a flat screen like an LCD or Plasma is of course that you can hang it on the wall, which also accounts much for the WAF (Wife Acceptance Factor). In general, its more stylish and modern and fits my idea of integration of technology in the home without having them dominate the living room. I think we are only seeing the beginning of this as more and more technologi is being integrated in our homes. Another factor I wanted to avoid is the Plasma image burn-in problems. Yes I know that todays plasmas have greatly improved technology and that it is improved, but its still based on the same foundation of technology so a static image will affect the panel in time. For a typical HTPC, there are a lot of static images, like the menu system that might be visible for long periods of time. Lets just say that I just wanted to be sure I would not experience this so I shied away from Plasmas. A final reason I chose LCD is that the panels are "computer friendly" in that pixels on them are square, so its easier to be sure you get a 1:1 pixel mapping when you connect it to a computer. 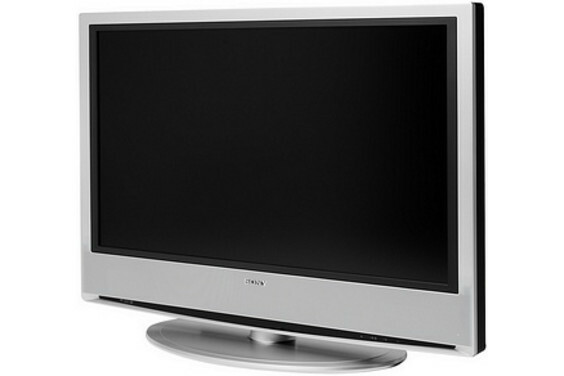 Many Plasma screens have odd resolutions like 1024x1024 although the aspect of the tv is clearly 16:9, indicating that the pixels are pill-formed. On a LCD you can get a pin sharp image that even allows you to read small text on it clearly, of course depending on how close you are to the tv. So why, this particular tv? I am no Sony enthusiast by all means, but in this case I think they have made an excellent product. I also know that with Sony I get a decent product on all accounts. Some of you might moan, why didnt I choose the V model? Well, the V model doesnt have VGA input and the HDMI input doesnt accept a native 1:1 pixel resolution (like HDMI inputs on nearly all LCD televisions from my experience). The S10 uses the same panel as the V10 and W10, but only have a different image processor for signal processing and scaling. When comparing these televisions in the store I found the S10 was more than adequate for my needs. If you have a cable signal on the S10, the scaling and noise is very well handled. I really couldnt pin down the big advantages of the V version, but in any case it was out of the question since it lacked the VGA input. The panel is a 7th generation LCD panel and have very high color resolution (10bit) as well as being very bright. Sony uses small prisms in front of every pixel so that the viewing angle is excellent too. With this LCD you dont have to sit straight in front of the tv to watch it. Many other brands (especially Phillips) have a sickening blue tint to the panel once you get a bit to the side of the tv. This one doesnt have these problems I can assure you. Its a very fine tv indeed! Another advantage of the Sony is that you get a proven interface for adjusting things like the viewing format for zooming in and out as well as shifting the picture. A lot of the cheaper LCDs lack these options and it can be a pain to get the picture right. Some of you might say that 40" inches isnt really a home theatre, and of course you are right that it doesnt feel like being at the movies. For that you need a projector and a big canvas. If there was any way I could build the projector into a roof-shelf that is lowered whenever I want to watch a movie, as well as a canvas that is automagically rolled down from a niche in the wall/roof, I would have optet for that. But in that case I would probably have a LCD as well on the screen (behind the canvas) for typical tv watching. I really dont feel like watching the news or browsing my music collection, or having the kids watch children shows on a 100 inches canvas!!! My other option was the Samsung LE-40m61b which uses the same panel in the Sony (they both run the same factory) but the Samsung has a bigger contrast rating. Many people say that the Sony scaler seems better than the Samsung, with sharper pictures. 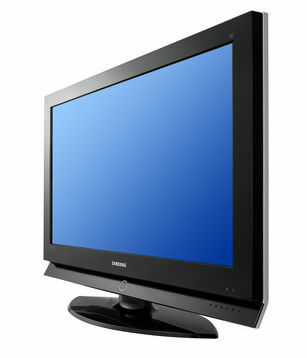 The Samsung however won the EISA award in 2005 for best LCD television, something that has helt the price of it artificially high due to high demand. The price is recenty coming down as I am writing this article, but still a bit more expensive than the Sony panel. Other than that the Samsung is probably a good alternative, definitely if you like the black look better than the silver one in the Sony set. The picture is scaling my cable signal perfectly and the noise filter removes noise well. The OSD interface is simple and to the point, nothing fancy.